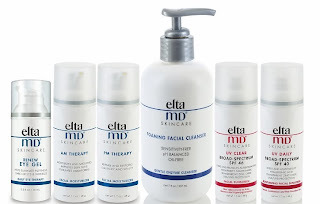 EltaMD is a newer brand to beautystoredepot. After bringing it on, it started flying off the shelves! We're excited to feature EltaMD this week with TWO amazing giveaways! 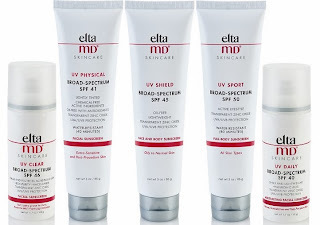 Instead of complicated regimens with endless steps, EltaMD focuses on two areas of concern: skin care and sun care. With a sunscreen option for every skin concern, and we do mean EVERY, you're sure to find one that not only protects from harmful UV rays, but works safely to improve your skin. 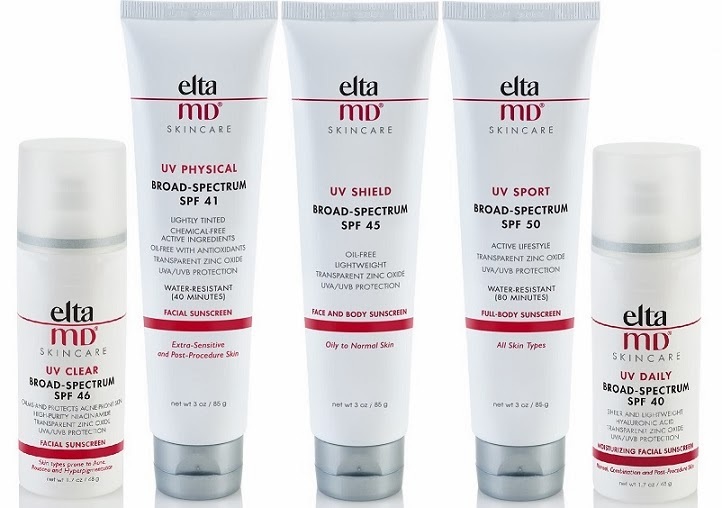 The key to EltaMD sun care is broad-spectrum UVA/UVB protection with microfine transparent zinc oxide. UV Clear Broad-Spectrum SPF 46: This lightweight and oil-free formula calms and protects skin types prone to acne, hyperpigmentation and rosacea. We often hear from clients that they are hesitant to use a sunscreen when they suffer from these conditions. It is especially important to use a sunscreen, to not only treat but prevent worsening or future flare-ups and scarring. UV Pure Broad-Spectrum SPF 47: This full face and body sunscreen is gentle enough for all skin types, including children. It contains physical UV blockers, zinc oxide and titanium dioxide and is water-resistant (80 minutes). It's also amazing for what's not in it. UV Pure is noncomedogenic, oil-free, sensitivity-free, fragrance-free, paraben-free, hormone-free, dye-free and gluten-free. If you've got sensitive skin, then this is definitely for you. UV Daily Broad-Spectrum SPF 40: This moisturizing sunscreen, with hyaluronic acid, protects dry, combination and post-procedure skin. Though it's moisturizing, it has a light, sheer formula so it won't feel heavy. 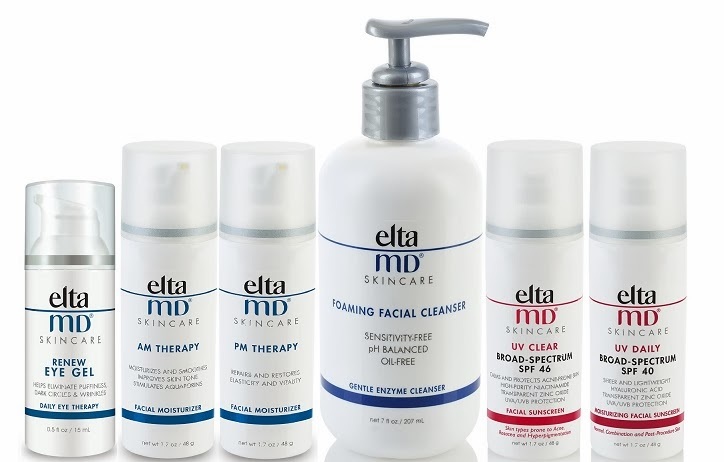 EltaMD skin care focuses on safe and effective products to correct current problems and maintain skin health over time. With a small offering of unique and potent products, EltaMD created a regimen that's easy to follow and won't break the bank. Moisturizer: With my sensitive and dry skin, I'm always looking for a good moisturizer that won't irritate my skin. I was expecting a heavy cream, but this formula is actually more like a balm. It penetrates deeply for 12 hour relief, and only contains a few ingredients so no irritation here. Foaming Facial Cleanser: It can be hard to find a cleanser that provides a good clean without upsetting sensitive skin. This pH-balanced cleanser uses natural cleansing agents to completely remove makeup and impurities, without drying or irritating skin. It's also oil-free and provides self-foaming action so it's great for all skin types. Renew Eye Gel: With peptides, vitamins and other proven anti-aging ingredients, this eye gel boasts significant results within 30 days. Our verdict? We're hooked! Using morning and night, this product has made a noticeable difference in fine lines, dark circles and puffiness. Whether you're searching to eliminate or prevent aging around the eye area, this is the one for you! Now for the GRAND PRIZES!! Wanna win? Visit our Facebook Giveaway Page to see how you can receive entries!! And don't forget to follow us on Facebook for the rest of the week for your chances to win FREE SAMPLES, play fun games, learn a ton about this AMAZING skincare line! !